With more than twenty years of experience in public policy and community affairs, Dena Ladd has been involved in issues that have both local and national impact. For many years, she was the principal of Ladd Consulting that specialized in Governmental Relations. Her clients included the Missouri Leadership Council, a PAC which she led as the State Director. In 2006, she worked on the Stem Cell Research and Cures Initiative campaign. Dena worked with volunteers across the state and secured medical and patient advocacy group endorsements. 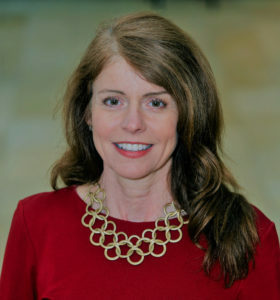 In May of 2010, she was named the Executive Director of Missouri Cures whose mission is to promote and protect all medical research in the state of Missouri. Her job includes cultivating and maintaining relationships with key policymakers, business leaders and opinion leaders in the medical research field on the state and national level. In her role as Executive Director, she developed and implemented the Women in Science & Entrepreneurship conference which is now held annually in five cities in the state. In 2016 she oversaw a campaign bringing together consultants, patient advocacy groups, volunteers and business leaders to defeat a ballot initiative that contained language that could potentially harm medical research in Missouri. Dena’s prior work experience includes working as a Regional Training Director for an international company developing and implementing a training program for the Midwest region. Dena currently serves on the national board of the Alliance for Regenerative Medicine out of Washington, D.C. She is also on the BioSTL coalition board and serves on the external advisory board for the Washington University School of Medicine’s Institute for Informatics. She has a B.A. degree from Drury University and a graduate degree in public administration / public policy from Southern Illinois University. Ellie Hayes is a community organizer, grassroots campaigner, and a relentless advocate. She connects with people who care about an issue and helps them cultivate their voice to further the mission. Before joining Missouri Cures, Ellie worked with The American Heart Association on Smoke Free Initiatives. She gave strategic campaign advice and grew a formidable network of supporters on both social media and on the ground. Ellie has worked on numerous other issues, always looking for a way to fight for the greater good. 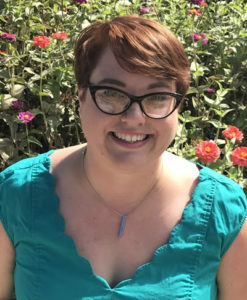 As Ballot Initiative Manager for The Humane Society of the United States, Ellie helped lead statewide campaigns to victory in Massachusetts, Oklahoma, and Oregon in 2016. At Sandy Hook Promise, Ellie grew the footprint of a new organization across the state. She recruited community leaders, implemented educational programs and raised community awareness to prevent gun violence. Ellie has lived and worked in nine states but is a Missouri native. She is excited to be back home and working to help promote and protect medical research. When not advocating to protect medical advances to improve the health of Missourians she can usually be found riding her bike, making soup, or under a pile of kittens.